Fig. 1. 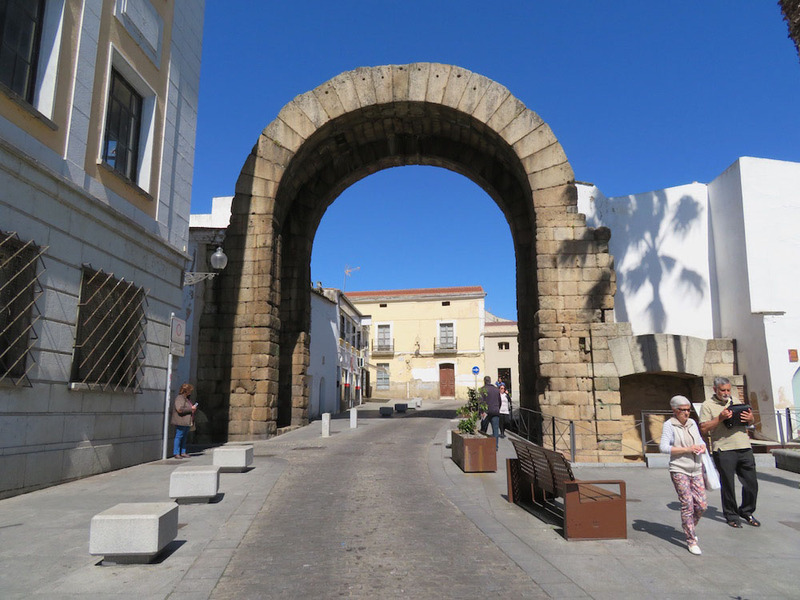 Southeastern facade of the remains of the triple-bay arch at Mérida, Spain, with a view of the central archway and one lateral archway, constructed in the early first century C.E. Fig. 2. 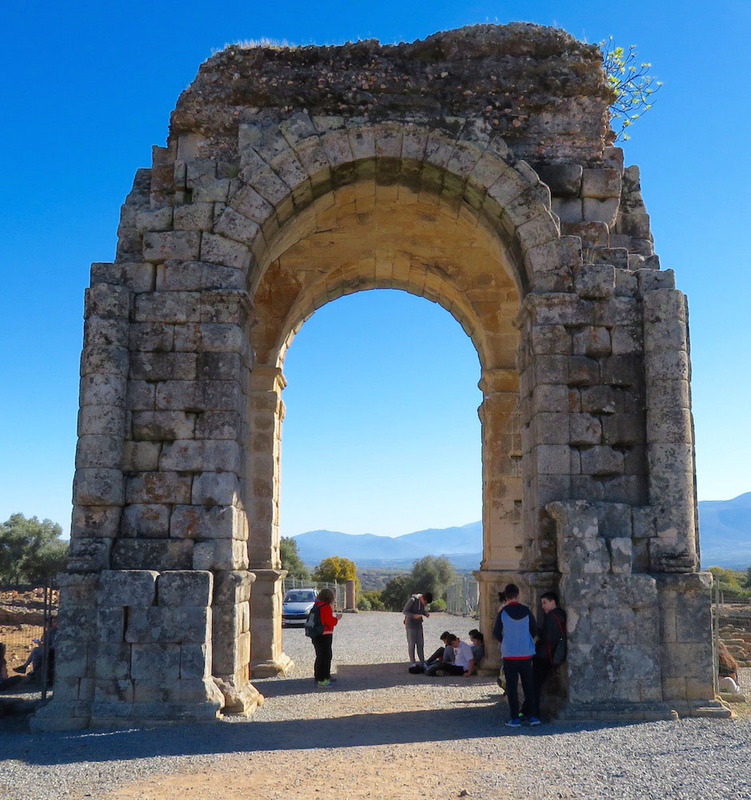 Northeastern facade of the tetrapylon at Cáparra, Spain, constructed in the late first century C.E. Fig. 3. 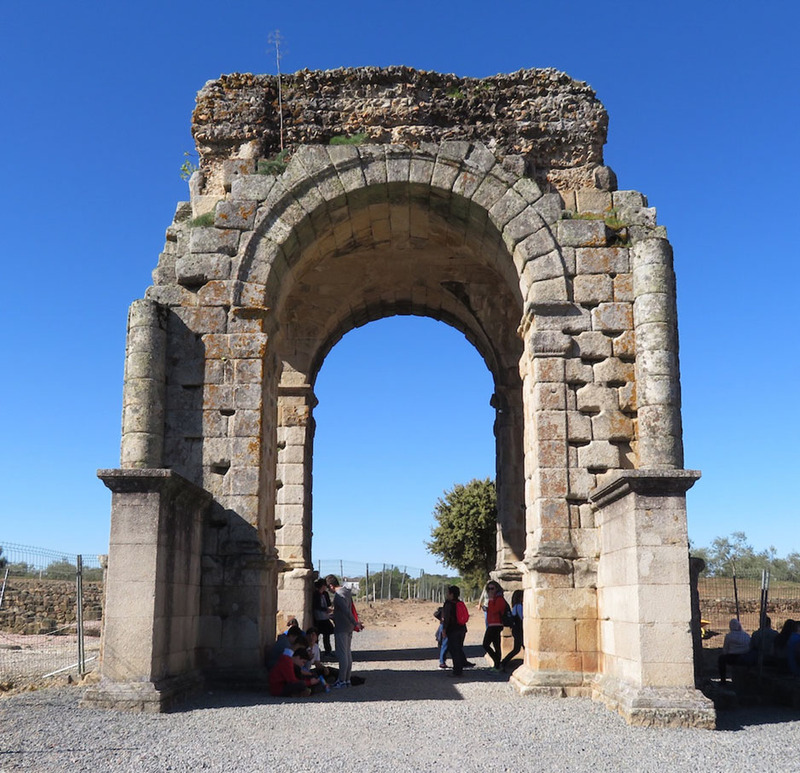 Southwestern facade of the tetrapylon at Cáparra, Spain, constructed in the late first century C.E. Fig. 4. 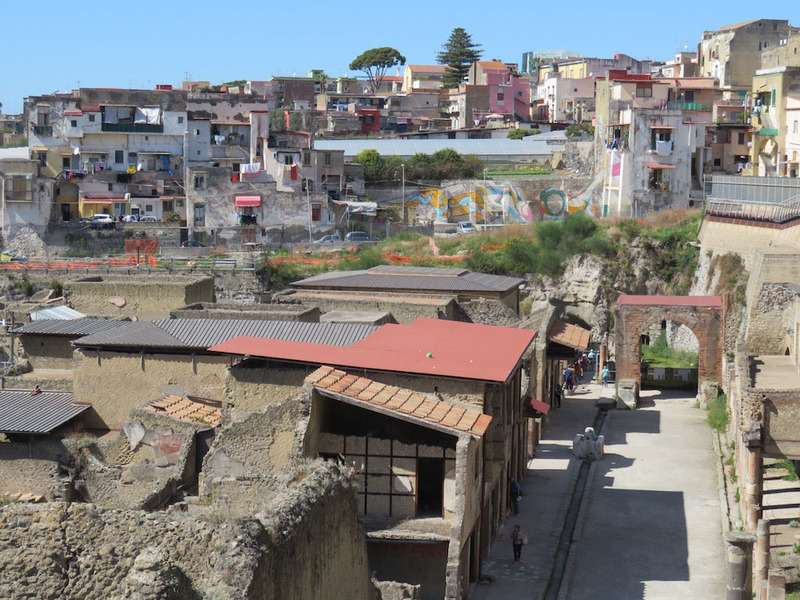 View from the southeast of the tetrapylon on the Decumanus Maximus, Herculaneum, Italy, constructed in the mid first century C.E. Fig. 5. 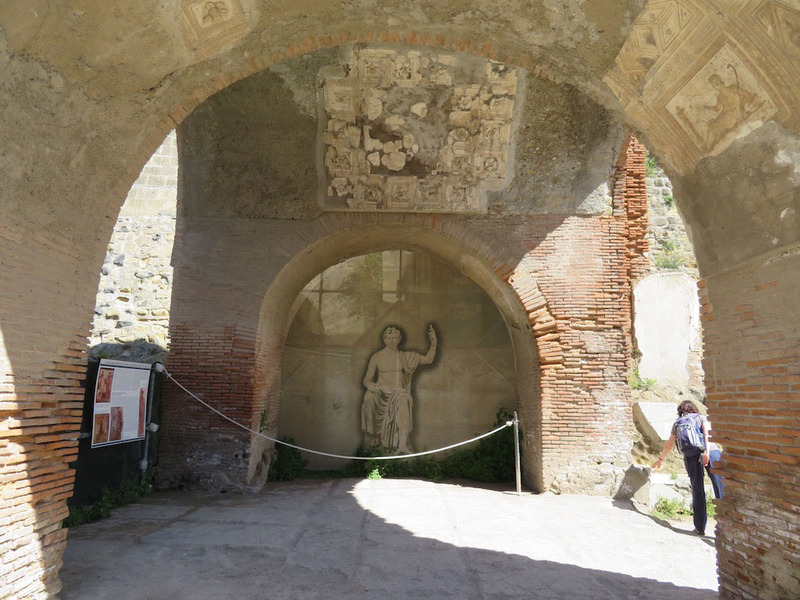 View of the southwestern facade of the tetrapylon, with decoration visible under the archivolt and barrel vault, Herculaneum, Italy, constructed in the mid first century C.E. Fig. 6. 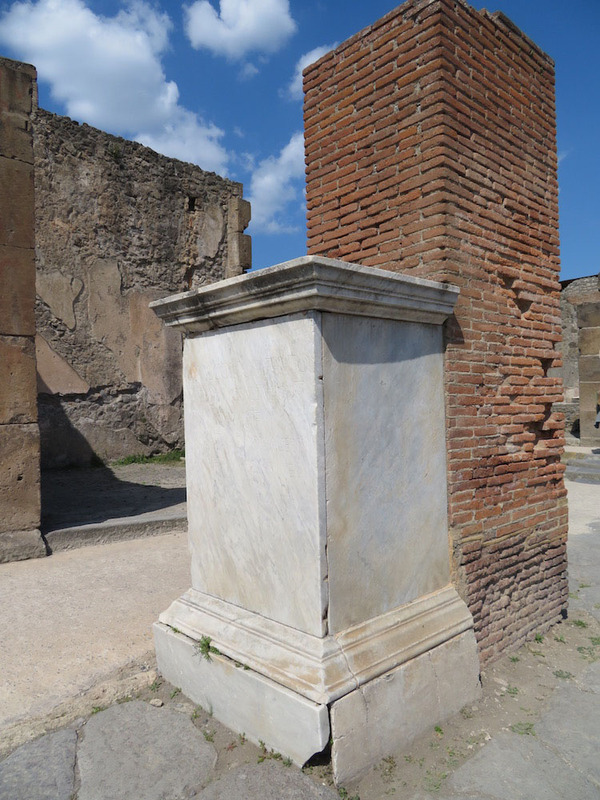 Arch for the Holconii, northwestern pier with an oblique view of the statue pedestal dedicated to Marcus Holconius Rufus, Pompeii, Italy, first century C.E. Fig. 7. Relief of Silenus, Gate of Silenus, Thasos, Greece, constructed ca. 500 B.C.E. Fig. 8. Relief of Apollo and Nymphs, with an offering niche, northwest wall of the Passage des Théores, Thasos, Greece, sculpted ca. 480 B.C.E. Fig. 9. 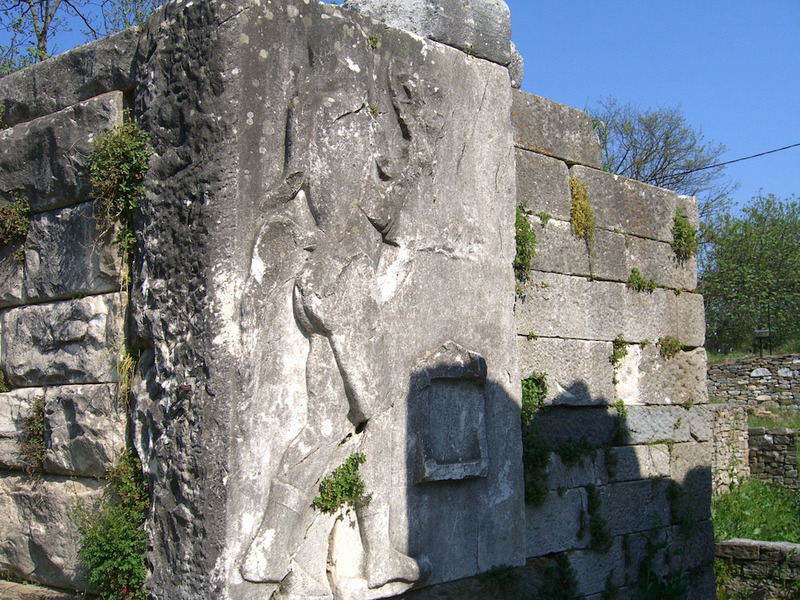 Relief of Hermes and Charites, northwest wall of the Passage des Théores, Thasos, Greece, sculpted ca. 480 B.C.E.